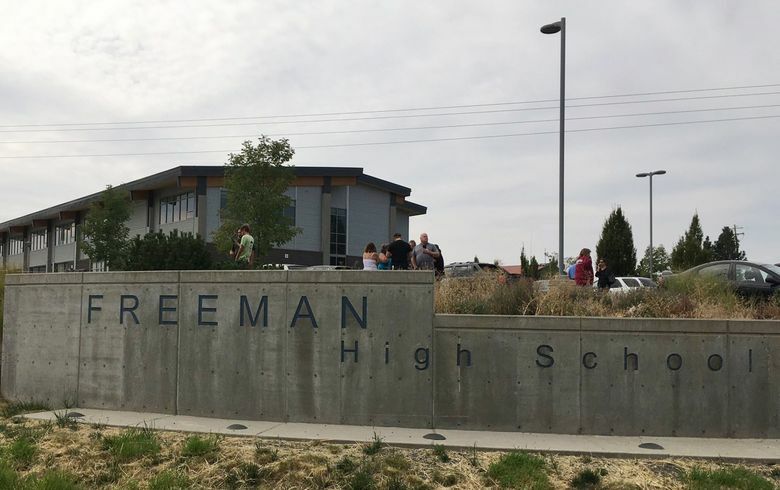 One student died and three others were seriously injured Wednesday by gunfire at a high school south of Spokane. A custodian stopped the shooter, who was taken into custody. ROCKFORD, Spokane County — Armed with a pistol and rifle, classmates say the shooter’s face “was passive” in the hallway of a high school in a tiny Spokane-area town. He tried to fire a weapon, but it jammed, and another boy confronted him. 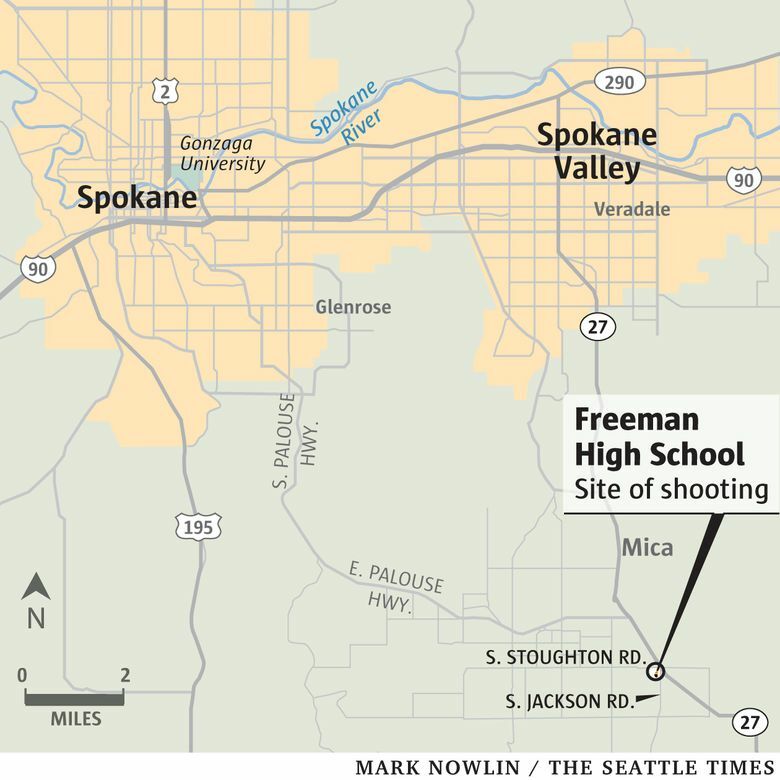 Three other students were seriously injured by gunfire Wednesday morning at Freeman High School south of Spokane. A custodian stopped the shooter, a heroic action the sheriff said prevented more bloodshed. The injured victims were expected to survive. The suspect, who a classmate described as being obsessed with previous school shootings, was taken into custody. Witnesses described a panicked scene when shots rang out, with bullets hitting the ceiling and students screaming and running down the hallway. A two-lane highway into the town of about 500 people near the Idaho border was clogged as worried parents sped to the school. Some people abandoned their cars on the road shoulder to make it to their children. Elisa Vigil, a 14-year-old freshman, told The Associated Press that she saw one male student shot in the head who janitors covered with a cloth and another female student wounded in the back. Michael Harper, a 15-year-old sophomore, said the suspect had brought notes in the beginning of the school year, saying he was going to do “something stupid” and might get killed or jailed. Some students alerted counselors, the teen told AP, but it wasn’t clear what school officials did in response. A call to the school was not immediately returned. Harper said the shooter had many friends and was not bullied, calling him “nice and funny and weird” and a huge fan of the TV show “Breaking Bad.” He also said the suspect was obsessed with other school shootings. “He watched a lot of school shooting documentaries,” Harper said. Authorities didn’t release the suspect’s identity or a possible motive. The victims also were not named. Luis Prito, an assistant football coach at Freeman High, called the shooting devastating. “This is a real close-knit community,” he said. Cheryl Moser said her son, a freshman, called her from a classroom after hearing shots fired. 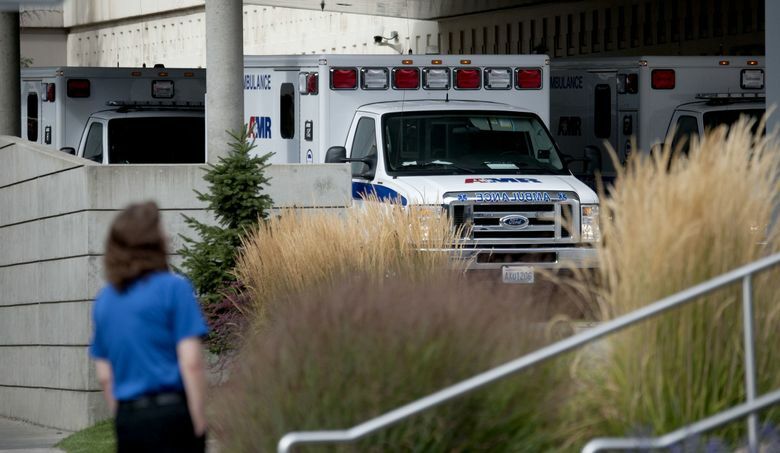 Providence Sacred Heart Medical Center and Children’s Hospital received three pediatric patients, spokeswoman Nicole Stewart said. They were in stable condition and surrounded by family, she said. Stephanie Lutje told AP she was relieved to hear her son was safe after his school near Freeman High was put on lockdown. She commended the school district for its communication. She still worried for others she knew, including a co-worker who had yet to hear from her son, a sophomore at Freeman. “My stomach’s in knots right now,” she said.